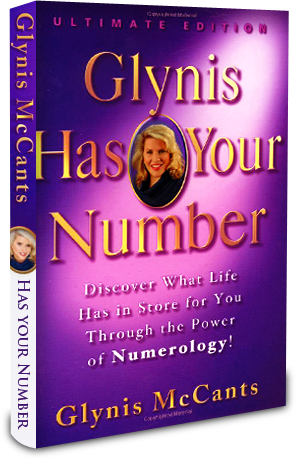 Numerology-Numerologist Glynis McCants "The Numbers Lady"
The Free Numerology Glynis Has Your Number Newsletter includes what's going on with Glynis, her upcoming appearances, and Numerology Projections about the latest Hollywood and Political Hot Topics. Glynis also answers your Numerology questions in the "Just Ask Glynis" section-it is always action packed! Through the Power of Numerology! 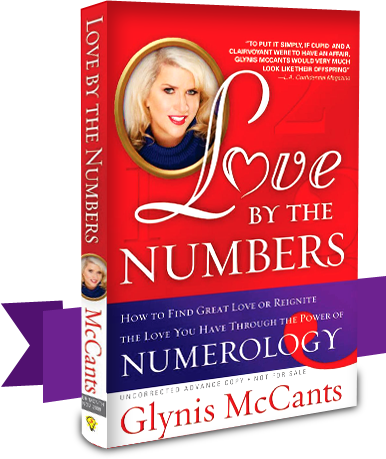 Expert Numerologist Glynis McCants, aka The Numbers Lady, is the Go-To-Girl when it comes to Numerology. To get some Free Numerology insights about your Life Path Number and Attitude Number, click "Numbers" on the menu bar above to learn more about yourself. "Whether it's the Numbers of our favorite celebrity couples or our own bouts with cupid"s arrow, we all want to gain more insight into what makes love work and how we can be better at it! Glynis' Numerology is like GPS for those who are tired of being lost on the road to love." "To put it simply, if Cupid and a Clairvoyant were to have an affair, Glynis McCants would very much look like their offspring." "What impresses me most about Glynis is her boundless hope and optimism about the world we live in today. She uses the ancient science of Numerology as her guide, but her insight and wisdom are invaluable. Glynis believes that you can achieve all of your dreams, and by the time you finish reading this book, you will too."